The most important requirement for homeschooling math, is a positive attitude. Here are some ideas that will make homeschool math a subject your family enjoys! Mathematics instruction does not have to be a frustrating experience for your family. Memorization and drill are essential part of math instruction, but there's more to math than memorizing facts and formulas. Make the subject a fun part of your day by teaching through real world experiences. Teach your child the context in which certain functions will be used, and help him learn to think in mathematical terms. 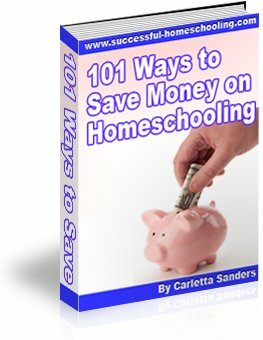 Here are some tips for choosing a homeschool math curriculum. Time - Let your child use timers for schoolwork, cooking, cleaning and participation in sports. Ask him to let you know when it's time to leave for an event. Have him keep track of the number of days until his birthday or a book is due back at the library. Money - Have your child count money, and save money to make a purchase. Let her help you budget for groceries, parties and holiday expenditures. Start a business, plan a fundraiser or host a garage sale. Have older children set up and balance a bank account, and manage money for their clothing and activities. Fractions and Percentages - Study fractions by cooking, dividing pizzas and pies, and doubling recipes. Evaluate sales ads to find the best deals. Analyze the figures in newspaper and television opinion polls. Measurement - Provide your child with a ruler, yardstick and tape measure. Let your child measure the distance he can jump or throw a ball. Build, rearrange furniture or hang photos. Convert ounces to pounds, or compare pints, quarts, liters and gallons while grocery shopping. Estimating - Teach your child to estimate height, weight, volume and distance, and how to evaluate whether or not her estimates are reasonable. When reading about size or distance, give meaning to the numbers by providing your child with relevant comparisons. When shopping, let your child estimate the final total, including tax. Distance - Track the number of laps it takes to make a mile, or the number of miles to the grocery store or grandma's house. Ask questions like, "If we have 100 miles left to our destination, and we're traveling at 50 miles per hour, what time will it be when we arrive?" Charts and Graphs - Let your child read nutrition labels, fitness graphs, and medical charts at the doctors office. Teach him to analyze polls and statistics. Let him track and chart rainfall, weather and temperature. Here are some book lists, games, lesson plans and other ideas for teaching Living Math.